Here’s a short little post in hope to be able to “inspire” my readers and get them to help me like my instagram photos! So Bonia is having a instagram contest where visitors take a photo of themselves together with a BONIA product in the pop-up store that inspires them and post it on Instagram with the hashtag #BONIA39. 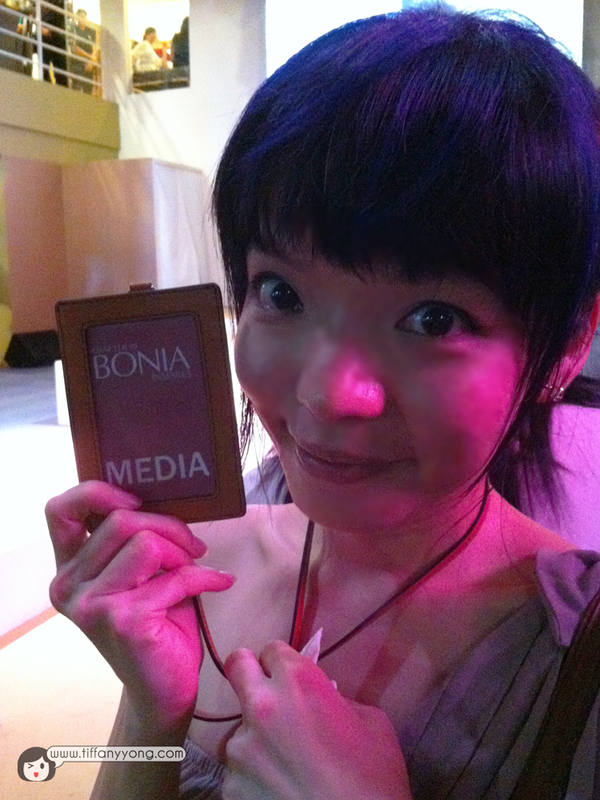 That’s me and pingerrain at the BONIA event! Help me garner likes by clicking on the photo! I have linked all my instagram photos to these photos. All you need to do is to click on the photo (it will link you to the instagram photo) and like it with your account! Click and like please! Just by looking at #bonia39 luggage bag makes me wanna go on a holiday! Bye @boniafashion, I’m ready to fly with matching bag and hair! Go like! (Latest!) Who says you can’t go casual with #bonia39 bags? I can be sporty and trendy at the same time! Don’t wait for extraordinary opportunities. Seize common occasions and make them great. -Orison Swett Marden A good #bonia39 bag like this gives me the confidence to seize the day! I am really a fashion-idiot, so I usually go for the safest one to two tone dressing style (Meaning 1-2 colours). So dressed in this delilaroselabel gown, I was carrying an old bag (as I was rushing off! No time to change bag. Ok, excuses, I’m just lazy) I really like the colour, look at the pumps and bracelet designed by the Raffles Design Institute students! They are simple matching. BONIA’s smart enough to put only 1 of the pumps out, if not, I might just wear them and parade around! Priscilla: the roses and the orange gave me a mental picture of having a glass of wine on a balcony in the late August afternoon sun at my favourite winery in Tuscany..
Me: My favourite pink clutch bag. Elegant and classy. Something I’m trying to be! Inspired? As someone who like to bring a big bag and throw everything in, this pink clutch definitely forces inspires me to bring only the most important and necessary items! How many times have you carried a big bag out and back home without touching a single thing inside (except perhaps your wallet and phone)? With this, you won’t look like a busy bee! Priscilla: Their interpretation of surrealism on the earrings makes me think of the Egyptian Queen Cleopatra! Tiffany: I am inspired to be a model! Haha… Guess what, by the time I took this photo, my camwhoring mode was on. Perhaps I was too inspired by the fashion show, models strutting down the stage. Perhaps Bonia can do one next time for short Asian Girls? One last one! Really! Go like! Darker coloured bags don’t get dirty easily. Or should I say, the dirt doesn’t show as fast and obvious compared to lighter-coloured bag. So this bag is definitely good to be my all-purpose (throw-everything-in) bag! OK. That’s all! Hope I had somehow inspired you guys! haha… Do feel free to provide me with feedback, be it from the comment section below or my instagram 🙂 Get your friends to “like” my photos too! K? Muah muah! Ok, don’t hate me, but I’m really so lucky to be taking photos with some of the really cool and friendly celebrities. Some day, I hope to be like them too. Though I know I can never catch up with the Height part. LOL. Of course, not to forget Irene Ang! » Fashion, Social Media » BONIA Inspire-Gram: What Inspires You?